The “Official unofficial” best beer in Salford competition took place at the recent Eccles RFC Beer & Gin Festival on 17, 18 19 August 2018. The beer was split into 4 categories; Pale Ale & Golden Ale, Bitter, Best Bitter & IPA, and Speciality Beers. The winner of each category would then go forward to a final judging panel to find the Best Beer of Salford. Dark Beers are to be judged next year during Winter Months. Four breweries supplied a beer in each category. One brewer did not have a beer which fell into the Speciality category and therefore only supplied 3. During the first stage of judging, i.e. for best beer in each category, all beers were tasted by 4 judges. For the final round of judging, i.e. best overall beer, all beers were tasted by 6 judges. Judging panels were made up of Eccles RFC club members & CAMRA members. Beers were scored out of 10 for: clarity, smell, conditioning, taste 1 & taste 2. Runner Up – Session by Seven Bro7hers. Runner Up – Red by Outstanding. Going by volume sales of all the beers, Seven Bro7hers brewery were a clear winner with the highest volume of sales – not difficult when you consider they had a winner or runner up in 3 of the 4 categories. Joint second place on volume sales were First Chop Brewery & Pomona Island Brewery – I have put them joint as they were within a gallon of each other and the recorded figures were subject to my reading of the dip stick, with a shaky hand and sore head. A very interesting exercise to say the least. Thanks to the CAMRA members who took part in the judging. We still have a bit of beer to get rid of, including category winners & runners up. All the beer has been kept under good cellar conditions with casks sealed since Sunday. As we have a game at home, Eccles Rugby Club will be open Saturday 25th from 13:00 till early evening. Anyone wishing to come and help mop up the surplus are more than welcome. Beer prices will also be reduced from festival prices. The following changes were reported at the August Branch Meeting. The Gardeners Arms in Timperley has re-opened. Two Sam Smiths pubs, the Windmill in Carrington and the Red Brook in Partington are both s boarded up and the car park entrance blocked. The Fox and Hounds in Flixton has cask ales. The Old Plough in Ashton on Mersey offers a Hydes Loyalty card, with 10% discount, to those over 60 years of age. Also in Ashton on Mersey the Buck has a loyalty card whereby the 8th pint is free. 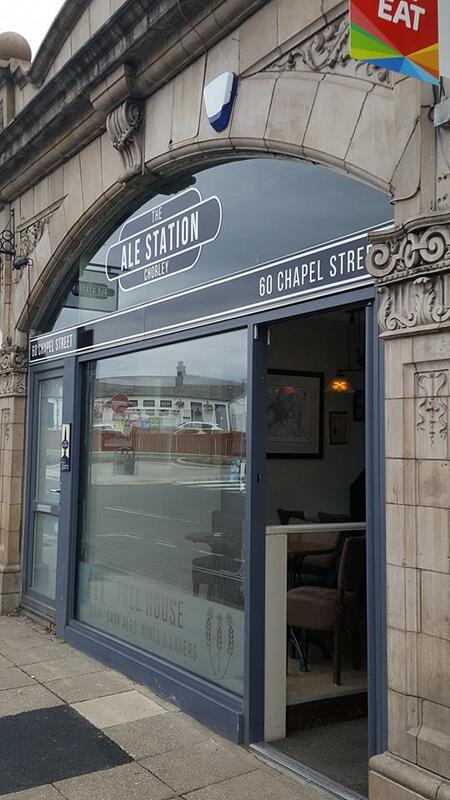 Marble Beer House in Chorlton has been sold and is now operating as the “Beer House”. 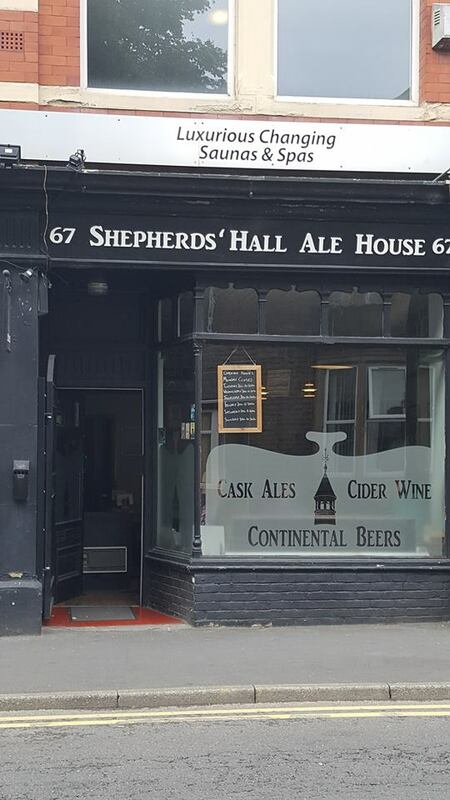 It continues to sell Marble beers and has the same manager as previously. The Three Legs of Man in Hulme and the Temple Inn in Sale are not selling real ale. Co-op and M&S are promoting “local” beers including some bottle conditioned examples. 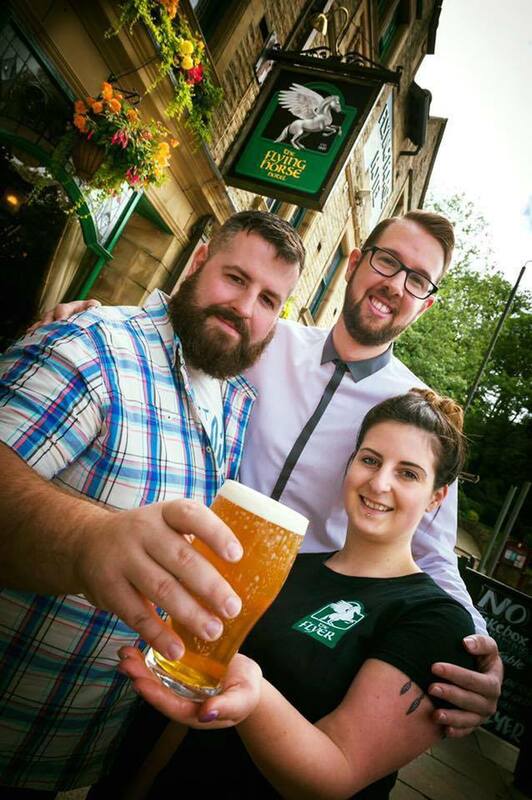 (L to R) Landlord Ben Boothman, bar manager Jon Hudson and assistant bar manager Lucy Jones. Twenty years of building a business has put a Rochdale pub in the winners’ enclosure as it is judged Greater Manchester’s Pub of the Year. The Flying Horse adjacent to Rochdale’s magnificent Town Hall was in need of Ben Boothman’s vision when he took it over. Trade at the site started in 1691, but it endured a spell renamed as The Sports before he took the reins. Ben could see the potential to transform the town centre building to provide a destination for drinkers, diners and overnight visitors, as well as an ambition to become the town’s premier free live music establishment. But a long-term commitment to providing the very best real ales underscored his efforts. Ben is well-known in amateur rugby league circles as he combined turning out in the green and gold colours of Rochdale Cobras alongside his work at the Flying Horse. It’s a real family success as mum Pat has supported Ben throughout, taking charge of the functions as well as finding time to run a popular outside catering business, Quirky Catering. The pub is also a vital supporter of town centre initiatives including Rochdale in Bloom and the recent Feel Good Festival. 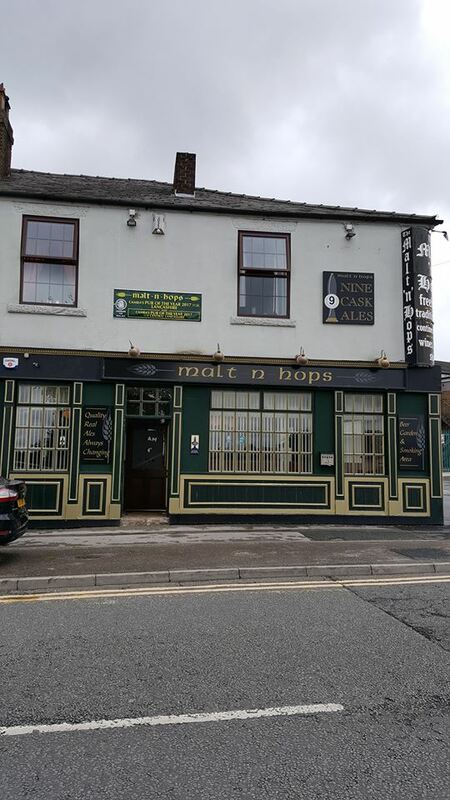 Recognised by the Rochdale, Oldham & Bury branch of the Campaign for Real Ale (CAMRA) as its pub of the year for the last two years, the Flying Horse first made the Good Beer Guide in 2002. The pub’s growing success saw a doubling in size of its real ales to twelve handpumps, with traditional ciders, craft keg and a selection of foreign beers making it a drinkers’ delight. CAMRA’s regional director Graham Donning said: “The Flying Horse represents all that a well-loved pub should be. It is supported by its regulars, and attracts visitors for its beer, food and accommodation offers. It has adapted to changing social patterns, but at its heart is a landlord whose commitment to real ale makes the Flying Horse a worthy winner. The Flyer, as locals call it, lined up against seven other exceptional pubs nominated by the Greater Manchester branches of CAMRA. An expert team of volunteer judges drawn from the 9,400 members in the region visited unannounced and evaluated the qualities of each. They scored the pubs on a variety of weighted features including quality of welcome, value for money, community focus and – most importantly – the quality of beers and ciders. Ben Boothman is thrilled with the award. He said: “This success is down to a fantastic team, headed by my bar manager Jon Hudson. We all share a belief that happy customers will tell everyone about their good experiences. And I’ve been helped by our suppliers and breweries who consistently provide customers with the best food and drink. “I’m proud of our welcoming atmosphere and delighted the judges mentioned this in their assessments. Keeping and serving our traditional beers and cider in tip-top condition is a matter of personal pride, so it’s fantastic to be recognised as the regional winner. CAMRA will be presenting the award to Ben at The Flying Horse on Thursday 23rd August at 7.30pm. The High Peak, Tameside & NE Cheshire branch selected its pub of the year outside Greater Manchester. 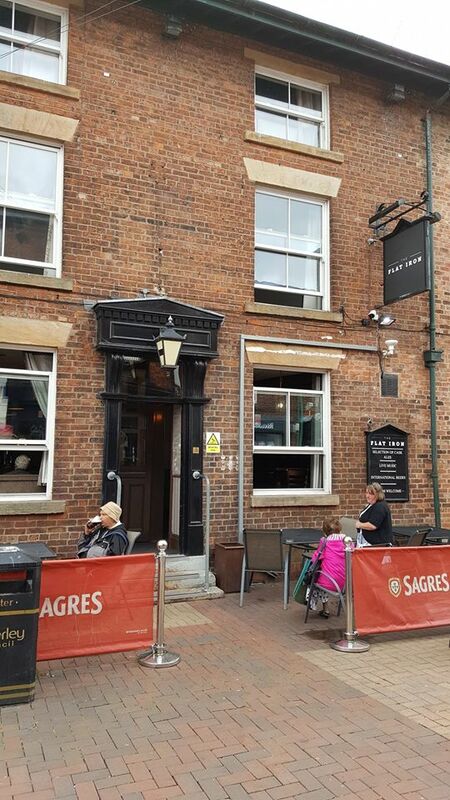 The Salford Arms has announced that it is now offering a discount to CAMRA members. Just show your membership card. This festival is running over three days – Friday, Saturday & Sunday. 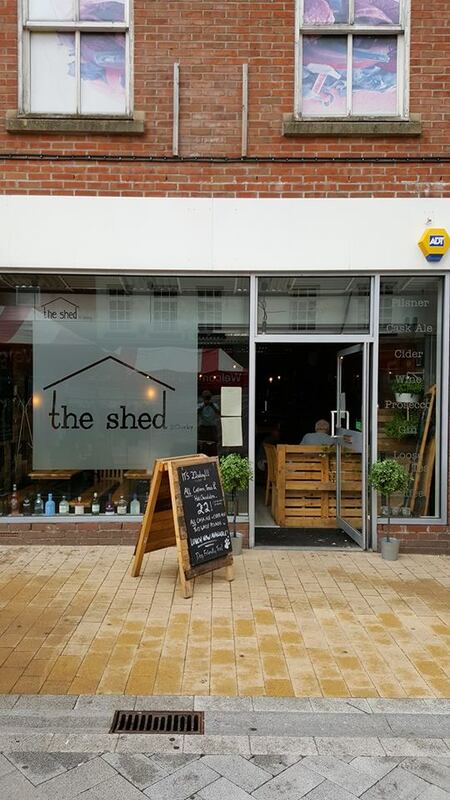 There will be twenty beers, six ciders and ten gins, as well as hot food, live music and rugby. There is also a competition between the five Salford breweries – “The official, unofficial best beer in Salford”. Entry is only £3 each day or a reduced rate of £2 for club and CAMRA members. 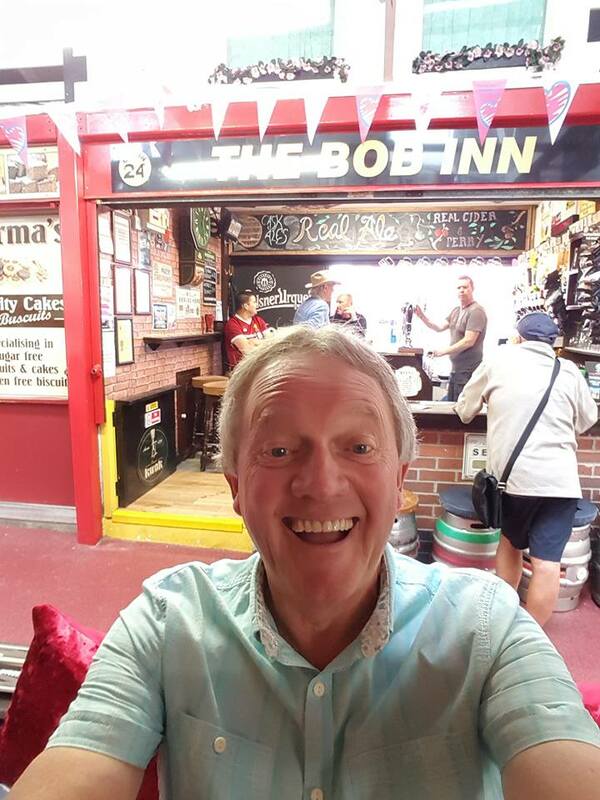 The Bob Inn sits on the outer ring of shops/stalls of the market so has the bar itself, some outside seating and an inner ‘lounge’ both of these are tiny but the seating was adequate for our small band. Some locals were at the bar but no other customers joined us, it was obviously market day and a steady stream of shoppers would pass by. There was plenty of choice for all with IPA’s and stout which proved popular, the room was adorned with various ornaments including a ‘cuddly stags head’ on the wall and fake bookcase wallpaper. First of the day had now on to the Flat Iron which was just outside the market, we passed some stalls one of which had two birds of prey on pedestals someone said they were sparrow hawks I wouldn’t know but one had a chicken drumstick in its talons, not a sub-species I would have thought. The Flat Iron had a traditional look to the outside but was clearly modern inside and there was the fake bookcase wallpaper again, beer was cheap though, £4 for two pints. Outside round the corner to the Shed so called because of the décor, basically tongue and groove panelling, they did serve food but some of our gang missed the sign and brought their own in from the market, the bar people were fine with this which was good of them. A relatively (0.3M)long walk now a real gem of a pub on the other side of the railway, The Malt’N’Hops once again a stout was available but also pork pies, sandwiches and pickled eggs, the pies and eggs being only being only 50p each. We sat outside but the interior had lots of dark wood and etched and stained glass. Back across the tracks to the bars we passed earlier the Shepherds Hall Ale House and the Ale Station, you would call these micros I suppose but plenty of choice in each for their size, Bev was quite taken with a shaggy white dog in the latter, I said it looked like my bath mat had come to life. This concluded our very successful trip out, enjoyed by all and I’m looking forward to future outings in the same vein, the next will be Macclesfield.